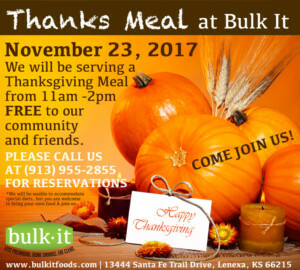 Join us for community and fun at Bulk It on Thanksgiving Day, Thursday, Nov. 23rd from 11am to 2pm! Our employees and local merchants are providing meat and drinks for this celebration. 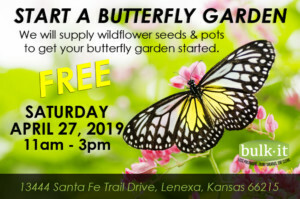 Please bring your favorite side or dessert.